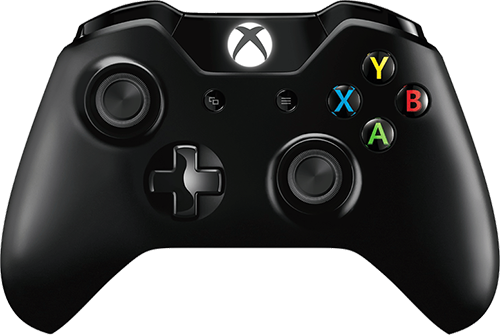 The Xbox One controller is, of course, the native controller for the Xbox One console. Its design and layout is based on what became the default controller for many, the Xbox 360 controller. It features many design improvements over the Xbox 360 controller which makes it one of the most robust controllers on the market. Additionally, rumble motors were added to the triggers giving the end user superb feedback when playing first person shooters and racing games. There are a few versions of this controller - the original, the updated model featuring a 3.5mm headset input and the Elite controller. All of these models and the trigger rumbles are supported by the CronusMAX PLUS and can be used on your PlayStation 4, Xbox One, PlayStation 3, Xbox 360, PlayStation TV and Windows PC. Note: There is currently no wireless support for this controller, you need to use a full data Micro-USB cable. The CronusMAX PLUS also supports the new Xbox One Elite controller including full scripting support for the paddles!